​College District, NJSFWC of GFWC. Our February meeting is on Wednesday, February 13, 2019 at Noon. 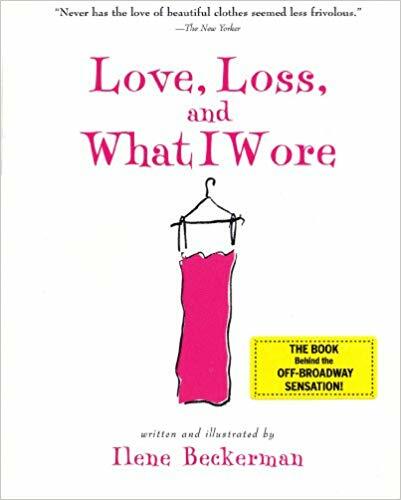 The guest speaker is Ilene Beckerman, author of five books sold worldwide, including Love, Loss and What I Wore. Bring clothing items in your wardrobe of special meaning to your. The program in interactive. This is a great program and not to be missed. Please bring guests! You’ll be sorry if you don’t make it and hear from your friends how great it was! Since 1957 the Flemington Woman's Club has given a scholarship to a deserving girl or boy from Hunterdon Central High School. The first scholarship was awarded in 1957 to Audrey Klein who graduated from Flemington High School. This year at its May luncheon, the Flemington Woman's Club presented a scholarship to Christian Schubert, a Hunterdon Central High School graduating senior, who this fall is attending Raritan County Community College. Christian was accompanied by his mother, Athena Rentzis. The presentation was made at the club's Business Meeting and Installation of Officers at Beaver Brook Country Club in Annandale, NJ. Chairperson of the FWC Scholarship Selection committee is Ellen Ramberg. The Flemington Woman's Club is dedicated to community improvement by enhancing the lives of others through volunteer service and fundraising. Any woman interested in joining can get membership information at the FWC website www.flemingtonwomansclub.org. share a common desire to help the community while participating in creative, fun, and educational activities. The Club invites interested women to come to a meeting and consider joining our group. Selected first in the State for ease of use, navigation and abundance of information! The Clubhouse is a great place to use for special occasions. The charm and location are perfect for lectures, birthdays, sweet sixteen, showers, dinners, meetings and repasts . It can be decorated for the occasion.